Thread veins or telangiectasias are small, superficial, red, purple or blue veins which can appear anywhere on the body but most frequently on the face or legs. They can be 1- 3mm in diameter and occur when the vein dilates to become large enough to be visible through the skin. Thus, they are generally more of a problem for fairer skin types. They are often classified according to their appearance as linear, branching or spider telangiectasia. Medically they are not serious but cosmetically they can be distressing to many of us. The effects of age, solar damage to the skin, hereditary factors, fair skin types and also, in the case of legs veins, obesity, pregnancy and prolonged standing. Excess alcohol, smoking and poor diet are further contributory factors. 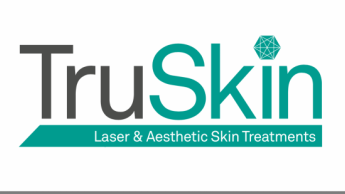 Until the introduction of IPL and laser treatments, there was little that could be offered to safely and effectively remove these aesthetically unpleasant marks. 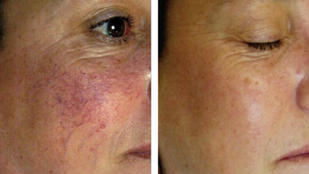 Facial Veins: We normally use multi-wave length IPL in higher energy pulses to reduce facial thread veins However, sometimes we will use the long wave length Nd:YAG laser to treat superficial and deeper red, purple or blue veins including certain types of haemangiomas or birth mark. Leg Veins: We do not currently offer treatment for leg vains. This depends upon many factors such as your skin type/colour and the severity of your problem but we frequently see excellent results for facial thread veins after a course of only 3 treatments at monthly intervals. After treatment there may be some transient redness or swelling but this usually resolves within a few hours. Some patients report minor brownish changes in the skin due to the release of a pigment called Haemosiderin from red blood cells. However, this again usually fades with time. Very occasionally there is whitening of the skin around the treated area and sometimes there can be minor bruising lasting 2-3 weeks.